It’s not Google Glass’ nerdy aesthetics, somewhat douchey reputation or lofty price tag that will prevent a whopping 72 percent of Americans from donning the headset of the future—it’s concerns about privacy and safety. A new study from market research firm Toluna found that privacy worries are a major stumbling block for Google Glass, with two in five consumers citing concerns such as the potential for hackers to access private data, the ease with which others could record their actions without their knowledge and the potential for private actions to become public. There is also the chance that federal agents will descend upon you if you wear the device in a movie theater. A second major concern cited by a majority of Toluna’s survey respondents was distractibility. The dangers of driving and texting are well-known. Less reported are the injuries and embarrassments sustained through text walking, resulting either from stepping blindly into a roadway, being a participant in a head-on pedestrian sidewalk collision or sundry other semi-blind missteps. Over a third of the 1,000 consumers specifically cited concerns about being mugged while wearing the device. With issues of safety and privacy top of mind for consumers, can Google Glass ever become ubiquitous? As wearable tech develops and devices become ever more sophisticated, a lot of brands, agencies and publishers are counting on it. They're beginning to make ads and films for the device and are incorporating Google Glass apps into their marketing strategies and business operations. Google has only sold an estimated 10,000 to 20,000 glasses to “explorers” who apply to a pilot program, so most of these efforts are still experimental at this stage and won’t be seen by many consumers. But the work is laying a foundation for future advertising opportunities. “Exciting developments in technology introduce numerous opportunities for consumers, but they also bring concerns,” said Simon. 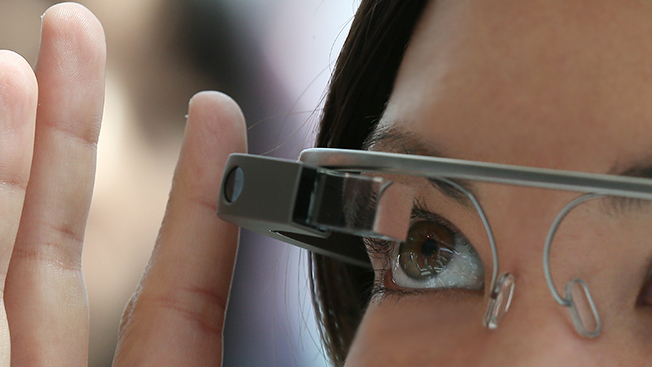 Google’s response to those concerns may very well determine Glass’ future success. But, if you remember, these are many of the same concerns raised more than a year ago.